An evening sail from Stamford Harbor aboard an 80-foot, 18th-Century schooner. We are bringing back a popular and much-enjoyed event from last summer - an evening cruise of the Long Island Sound aboard SoundWaters. 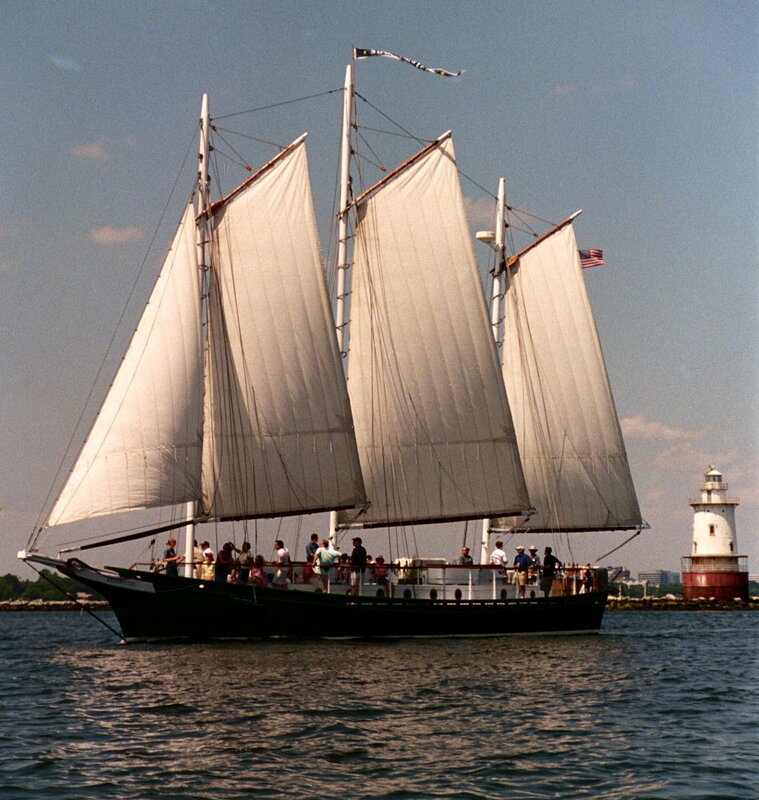 The ship, a steel-hulled replica of an 18th-Century, three-masted schooner, will take us on a pleasure cruise around Stamford Harbor and the surrounding waters, with a bit of informative discussion with the crew about the vessel, the Sound, and the mission of the SoundWaters organization, which seeks to protect our local waterway, along with community access to it and to the sport of sailing. Sunday, July 28 from 6 pm to 8 pm. Limited to the first 40 registrants for a comfortable cruise. Harvard Club members and their guests, $25; non-members $35. Club will supply cheese, cookies, and coolers with ice. Bring your own drinks.